We're located on the corner close to the tollway, across from the Shell® service station. You can recognize our building by its rooftop sign. 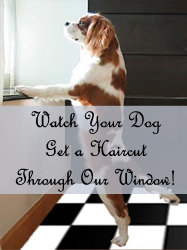 grooming services that bring out your pet's true beauty.